From the AFPFL government led by U Nu to the SPDC regime led by Than Shwe, successive Burmese governments have cleverly manipulated the ethnic minorities by tricking and lying to them. And it is not going to be any different with Thein Sein’s government. Since 1961, ethnic minorities have demanded the formation of a genuine federal union where everyone will have equal rights and be treated equally, and where the self-determination of every ethnic group is guaranteed. However, these demands have been ignored by every Burmese government. Thein Sein is the president of the country. If he wants peace for the country, he should have declared a nationwide ceasefire. He cannot just have regional officers or business people handle the peace process. Such actions will not solve the crisis. The root causes of the problem will remain. And because the ceasefire agreements are not made by the central government, there is no guarantee of their effectiveness. A slogan of the government during the current peace process is “cooperation for development.” This reminds us of the ethnic groups who turned their arms in for peace in the early 1990s. What have they and the government done to solve ethnic issues? Nothing. The groups were told to take their demands to the National Convention and were made to attend the convention. However, no ethnic issues were discussed at the convention. Before Thein Sein assumed power, the military regime that ruled Burma said that if anyone wanted to negotiate political issues, they should talk to the new government. Well, Thein Sein is now in power and leading a new government. Where is the process of political negotiation? Nowhere in sight. As soon as he took power, Thein Sein started bombing the Kachin and the Shan. The current peace process looks no different from what we saw during Khin Nyunt’s time. The government made promises only to break them. In 1995, the Karenni National Progressive Party (KNPP) signed a ceasefire agreement with the then State Law and Order Restoration Council (SLORC). The agreement was signed in the presence of the Karenni public and the whole people of Burma with an official ceremony. There were 16 points in the agreement between KNPP and SLORC. Two of the most crucial points were: 1) the SLORC shall not add more battalion troops in Karenni State, and 2) the SLORC shall not add or expand their military new outposts in Karenni State. Any group that reaches an agreement with the Burmese government that doesn't include guarantees will have the same experience as the KNPP. It is crucial that the root cause of the political issue be resolved politically. Until then, Burma's problems will never be solved. Whoever governs the country must be genuinely willing to address the demands of Burma's ethnic minorities and recognize their rights. As long as the government perceives minorities as enemies or “destructive elements,” minority issues will never be resolved. Thein Sein is currently showing no sign of starting political dialogues with the minorities. His regime has suggested doing it later, but has set no time limit. So it is possible that no dialogue will ever take place at all. The Karen National Union (KNU) recently signed a ceasefire agreement with the government. An 11-point peace proposal was presented. An official from Thein Sein’s government should have guaranteed the KNU that their proposal will be discussed at the Union level. Instead, the managing director of the business group Dawei Princess was making that promise. It doesn’t look like a peace deal, but rather like a business deal. What Thein Sein should do is implement a nationwide ceasefire, solve the root cause of the six-decade-long conflicts, and reconstruct the country. Since Burma is a multi-ethnic country, mere democracy won’t do. Burma needs a system that guarantees the rights and self-determination of every ethnic group. There is a Burmese saying that goes: “You have died once, so you should know your coffin’s cost.” It means that you have already paid the price of past mistakes, so you should know better than to repeat them. Ethnic minorities in Burma have died many deaths. So by now they should know the coffin’s cost well. 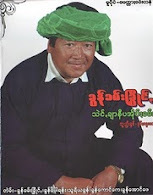 Rimond Htoo is a senior member of the Karenni National Progressive Party.